This scarf is no stranger to the knit night at my favorite LYS . In fact, it is so frequent a visitor that it got a nickname: Bobbilicious. It's all bobbles all the time and I love it. I also love the fact that I didn't have to knit any real bobbles or I would never have finished (or started). Despite how complicated the scarf looks, the knitting was pretty easy. I read a few books while working the first few feet and the last few feet got me through the after effects of a root canal. I have to love the scarf just for that. The yarn helped too. Even the knots and the vegetable matter didn't detract from its colorful goodness. I'm looking forward toward pulling the scarf out in the Fall when the color will be a welcome sight and when wrapping one's self in wool will actually be comfortable. I managed to get a lot of stuff done and out of the way when my knitting mojo disappeared. My swollen ankle didn't slow me down too much. Eventually, the ankle started feeling better and the mojo worked its way back to normal levels. Mostly, it was the Rayski scarf and all of its bobbles that returned the mojo. I never thought that bobbles would have that effect on me. Anyway, not only is the pattern simple and easily memorized, the yarn is almost addicting. 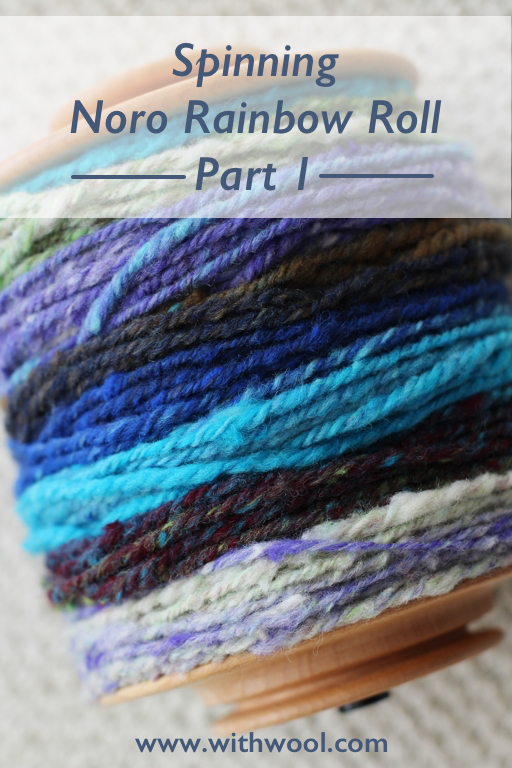 It's the famous and infamous Noro Iro. The colors are lovely and the yarn has a rustic quality that I quite like. Unfortunately, I had to deal with Noro's infamous qualities as well. Every skein has had a knot but at least the color sequence is intact. The one upside is that it allows me a bit more control over the colors even if I do have more ends to weave in. Ends aside, I'm looking forward to knitting the rest of the scarf and wearing it many months from now.